Intro from Jay Allison: It’s always a treat to happen upon an Alix Spiegel piece on NPR. Her tone is sure-footed and real, her subjects large and important, but life-sized. Her writing and interviewing blend perfectly, musically even. In her new Transom Manifesto Alix offers “A Practical Guide to Different Radio Techniques” a.k.a. “Dorky Radio Dork Shares With Other Dorky Radio Dorks Information That Most Sane People Would Not Have The Remotest Interest In.” I’m not so sure. I think it’s useful for Non-Radio-Dorks too, because Alix decodes the storytelling of outfits like This American Life and Radiolab, and lets us in on the secrets of why we are enthralled. I remember the first time I ever listened to the raw tape of a radio interview. It was actually the very first interview we ever did for This American Life, Ira talked to a man named Kevin Kelly and my job was to transcribe their conversation. I hadn’t been at the interview myself, I don’t know what I was doing instead, probably trying to set up computer equipment for the real producers who worked on the show. That was my first job as an intern – I took care of the computers. If you know me at all, you know that the fact that I was put in charge of the computers is actually a sign of the apocalypse. I am a moron at computers. But anyway after whatever I did that day, I turned to this job of transcription. Sitting in an empty cubicle I pressed play and all of a sudden Kevin Kelly was talking – explaining how – one night after traveling the world in search of adventure – he’d been locked out of his Israeli hostel and so had been forced to sleep in the only place in town that was still open: the church where Jesus Christ had supposedly risen from the dead. Actually Kevin Kelly had slept ON THE VERY SPOT where Jesus had risen, and even though he went to bed an atheist, he woke up certain of two things: Jesus was the son of God, and also, he, Kevin Kelly, was going to die in six months, and therefore, desperately needed to figure out how to say goodbye to all the people and things he loved. I think all that was covered just in the first fifteen minutes. The story got better from there. I can’t tell you what an effect listening to that tape had on me. It was late at night when I started and I remember sitting in the near darkness of WBEZ’s empty newsroom feeling like the whole world had just opened up, and now everything was different. I wanted to crawl into the tape – somehow literally crawl INSIDE the tape – and just stay there. Listening to this man talk to Ira, having their voices inside my head leading me away from what I had known, and where I was living, into a whole new life. That was the moment I fell in love with radio. Hopelessly, irrevocably, fell in love with radio. I assume that you are in love with radio too. Otherwise what the hell are you doing reading this website, right? And for radio-dorks such as our selves now is a very exciting moment. All of a sudden there are big changes in the radio air. The barriers to entry have lowered so much that all kinds of people are flooding into the audio game and creating new shows and podcasts. I myself am starting something new. On January 9th, 2015, the amazing Lulu Miller (formerly of Radiolab) and I are debuting our new NPR show – Invisibilia. It’s about the invisible forces that shape human behavior: stuff like thoughts, and emotions, and beliefs, and expectations, and it is by far the best thing I have done since I helped start This American Life all those years ago. But Lulu and I – and our co-conspirator Anne Gudenkauf – aren’t alone in trying to create something new. Recently the new podcast Startup began (it’s fabulous) and as I write Serial is in the middle of its first season (also fabulous). There is the awesome 99% Invisible, and TLDR, and Snap Judgment and Strangers, and so many other genuinely fun things to listen to that I sometimes feel like I don’t know how I am going to keep up with it all. Maybe some of you reading this right now are interested in starting something too. And so it is for you – and really for any other radio-dork out there – that I offer what follows. It’s not a traditional manifesto exactly, it’s just information I believe might be helpful to people who like to think about radio. I personally find it helpful to have a bunch of different radio techniques laid out in front of me in a systematic way so I can compare them. In other words, this is not a manifesto chock full of inspiring stories full of life lessons – unless, of course, you consider Radiolab’s innovation in tape use an inspiring story full of life lessons – which I personally do. Let’s begin by talking about the position of the narrator relative to content. TAL, Radiolab, and hard news programs (like All Things Considered or Morning Edition or The World) all position their reporter/narrators in very different ways. At least traditionally, hard news reporters have tried to hold themselves at arms length from the content they were reporting on. The emotional tone of the writing was arms length – the way they signaled they were moving from script into tape underscored a separation between themselves and the people or things they were reporting on. They would move from script to tape in a very formal, clearly marked way – saying something like – “This is what this person (full name or last name) said…” before going to tape. You could sometimes even feel the distance in their tape – there wasn’t that much emphasis on collecting tape on the internal imaginative life of the people being interviewed. Also reporters traditionally didn’t use “I” that much because that word thrust them forward as characters. I think this positioning is a great strategy for a lot of news reporting. The more formal positioning is helpful if you want to emphasize authority or an impartial stance – both of which obviously can be incredibly important in news stories. So let me be clear – I am not dismissing or belittling this strategy IN ANY WAY – it is a necessary and highly effective strategy; it would be bad and boring if all local and national news reporters decided to jettison these strategies. Still I think that if you are a local or national hard news reporter – even a hard news reporter on a short deadline – you can play with different elements of the positioning just to see how that changes your work. For example, you can retain the emotional distance of the writing (which in an internet-soaked age where a more informal writing style is commonplace – is actually often refreshing) but think about a slightly different approach to tape collection. You could go more for the internal life of your subjects… their fantasies, their more intimate thinking about whatever it is you are talking to them about… and then lay that along side the more formal writing style very effectively (kinda like some of the great narrative non-fiction print writers of the 1970’s, like Gay Talese who I think did that really effectively in his book Thy Neighbors Wife – which is a really awesome book). The contrast between the two can be profoundly interesting if you play it up in a strong way. Even if you don’t get intimate tape from a subject, you can shift or play with the emotional tone of the writing. That’s very easy to do, even on deadline; it’s just a matter of crawling into the view of the person you spoke to like fiction writers do. Here’s an example of a hard news piece I did that used a pretty formal tone but went for intimate internal tape; it’s about the shooting by Adam Lanza at Sandy Hook Elementary school. To get inside the experience I focused my interviews with two Sandy Hook parents on the way the shooting changed their internal thinking about probability. The piece was done pretty quickly, I think it took three or four days, and even though it’s a piece about a national tragedy there’s no crying in it. Still, my hope is that having these two people talk me through how the event shifted the way the world existed in their minds gave listeners a different view of what it was like to live through Sandy Hook. In terms of position – I took up a less formal position relative to the content simply by going for a small but important element of their imaginative lives in my interviews. Note: To get the more intimate internal tape, one thing to do is to sit down before the interview and try to imagine in very specific ways, what it might have been like to be in the position of the person you’re interviewing as they went through whatever experience it is that you’re asking them about. That will help you formulate very specific questions that will allow the person to explain their thoughts and feelings in a more concrete way. Ask a lot of questions about how they imagined things before what happened, and how they imagine them after. Even if you are talking to them about something as matter of fact as how a local school works you can get decent tape that way. Also model the kind of story telling you want by telling them your own imaginings. When TAL was starting Ira very consciously decided that one of his innovations was going to be a repositioning of the reporter. He didn’t really like the more formal arms length position. He wanted to use first names, he wanted more intimate writing (though note he was still using the traditional strategy of scripts as opposed to the Radiolab technique of using conversation interwoven with tape to create a story). He wanted tape collection that got deeply inside people’s heads and hearts; he wanted the use of “I” because he felt that brought the reporter closer to the listener; and he wanted to hear the reporters real reactions in tape, their wonder, their laughter, their anger. For the most part, Ira left the way reporters moved from script to tape untouched from basic news program strategy. It was still pretty formal in the sense that the reporter would usually explicitly identify who was coming up in the tape; I think the only small modification was that instead of using last names, we generally used first names. All those changes effectively accomplished exactly what Ira wanted to accomplish. The work did feel more intimate, and immediate, and it also sounded different from other things that existed at that time. Even if you only heard a small portion of the show – two minutes – all those small changes in the way the reporter wrote and interacted with the world around them made it sound unique. Now I’m sure it’s pretty obvious to you, my fellow radio dorks, that TAL encourages reporters to take a less formal position. Still I think it’s worth tracing out explicitly HOW that is accomplished because again, if you are familiar with the specific techniques (i.e. encouraging reporters to respond in their interviews with wonder or laughter or whatever they are feeling and then making sure to INSERT that response into the piece) then you can experiment with them and tweak them in your own work and see how those experiments change things for you. The Radiolab Strategy: A Further Renovation. Now we turn to how Radiolab tweaked the position of reporter to content. A small disclaimer: I have never worked at Radiolab so whatever I say should probably be taken with a grain/shaker of salt (and/or corrected by Jad below if he likes…Jad?) but here’s how I see it. In a variety of ways Radiolab moved even further in the direction of informality. Take, for instance, the pass off between “script” and tape. What Radiolab does (and this touches on its innovations in tape use too) is basically try to bring most of the characters who are going to be participating in the story on stage at the beginning of the story, and then create a seamless interweave between voices, without re-identification (or only minimal re-identification) of which person is talking. This technique erases the distance between reporter and subject even more because everyone is telling the story together. Sean Cole’s Radiolab piece “Death Mask.” I think I have listened to it, like, 16 times. I think Radiolab is brilliant and I love these innovations. I also think that – though you obviously have to be a little bit careful as a news reporter – many Radiolab techniques are VERY adaptable to news work. 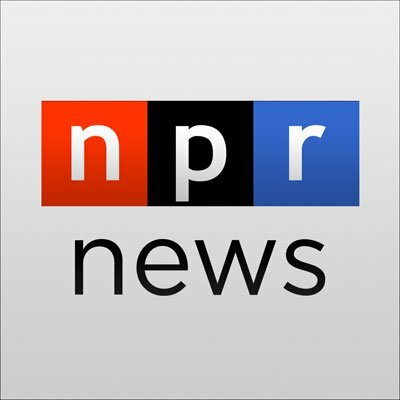 Actually I have to say that I found it easier to adapt certain Radiolab techniques to news reporting than This American Life techniques. The faster rhythm of the tape cuts works really well in news because it lets you cover a lot of ground quickly in terms of ideas, and also it’s easier to adapt the Radiolab story structure strategy than the kind of structures that This American Life typically uses. Which brings us to tape use – which I’ll try not to yammer on about too much. Because they are written on deadline news stories frequently use the “blocks of tape between blocks of script” model. There is very little intercutting of different people talking and the rhythm is often simply script/tape/script/tape/script/tape. When Ira started This American Life there was a lot of emphasis on changing this tape use technique. He wanted a lot of intercutting, he wanted a lot of tape-to-tape separated by music so that pacing wouldn’t be predictable; he felt that if pacing was irregular you would listen more carefully (reporters in news don’t have access to music so it’s harder to vary pacing, but you can do it with ambient sound and other stuff if you are clever about it). What Ira did wasn’t a complete departure in the sense that it was still conceptualized as a reporter basically talking to tape and then passing off to the tape, but those are some of the ways that he tweaked the standard techniques. Radiolab, on the other hand, really has (as far as I can tell) a radically different conceptualization of how to use tape. I know this from Lulu, and again I could be wrong, but basically they flipped it. It’s not that the reporter formally passes off to the tape; the tape erupts and interrupts the speech of the reporter. Poking through. That’s one way of thinking about it. Another way is that the tape is just one more element in the story that again, is all being seamlessly interwoven. There’s not a lot of differentiation between them. It is fun to play with thinking about tape this way. At least it’s been fun for me. You should try it. And then after you practice that, evolve it. Play with it and put your own tweak into it in the same way that Ira tweaked the approaches of the people before him, and Jad tweaked the approaches of the people before him. Tweak it until you make it something new. This Manifesto (Despite Appearances to the Contrary) Does Have An Actual Point! Which brings me to the real point of this manifesto. My firm belief that all of us – all of us dorky dork radio producers and reporters – should spend time playing with all the potential techniques available to us as story tellers – not just This American Life and Radiolab and NPR techniques, but Snap Judgment and Love + Radio techniques and Fresh Air and The Moth techniques. There are all kinds of people out there who have come up with all kinds of solutions to the problems of audio story telling. See if you can’t figure out what they are doing… and then create new solutions. Recruit other dorky radio friends and get together and analyze stuff and share ideas, and then watch YouTube videos and movies and anything else you can think of, and see if there is some small production technique in them that you can steal for yourself and your public radio brethren. Which brings me to one more thing that I feel compelled to say. Innovation in radio is not just about production techniques. There are lots of ways to innovate. You can leave your production techniques untouched and take a new intellectual approach (we are taking a new intellectual approach with Invisibilia I think). You can bring in new kinds of voices to the system – which is profoundly valuable (though it’s not the only thing they do well, Snap Judgment does this incredibly effectively I think – they have amazing producers who bring voices to the system I don’t usually hear). There are tons of different things you can do – radio and journalism is not just about production, so if production is not your strength – don’t worry! I, for example, consider myself kinda “eh” production wise – I’m just not that interesting, which is one of the reasons why it’s exciting for me to work with Lulu; she is much more interesting than me in terms of production. The most important thing is to remind yourself not to be too tightly locked in to whatever you’ve been doing. Remember to just f-ing have fun because RADIO IS AWESOME. Okay, so that’s pretty much it but… this being a manifesto and all… I feel the need to come up with some kind of chant we can all recite together. Something that might be able to whip us into a blind frenzy. Producers of public radio!!!! … We are few!!! !… but we are poorly dressed!!!!!!?? PS – it’s a MANIFESTO. It has to end with the word Unite. Which in our world is also spelled G-i-v-e! Invisibilia, Alix’s new show with Lulu Miller and Anne Gundenkauf, can be heard on NPR news programs and via podcast starting in January, 2015. In this excerpt, Lulu tells the story of Daniel Kish, a blind man who taught himself to navigate the world by using echolocation – just like a bat. Alix Spiegel has worked on NPR's science desk for ten years covering psychology and human behavior, and has reported on everything from what it's like to kill another person, to the psychology behind our use of function words like "and", "I" and "so." 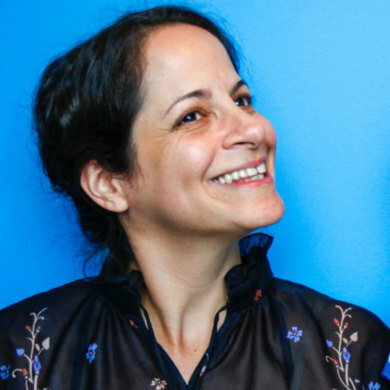 She began her career in 1995 as one of the founding producers of the public radio program This American Life. While there she produced her first psychology story, a piece on the removal of homosexuality from the DSM called 81 Words, which ultimately led to her focus on human behavior. Alix has won many journalism awards including a George Foster Peabody Award, a duPont-Columbia University Award, a Scripps Howard Award, and a Livingston Award for Young Journalists. In January 2015 she and science reporter Lulu Miller are launching the pilot season of Invisibilia, a new series from NPR about the unseen forces that shape human behavior. Invisibilia inter-weaves personal stories with fascinating psychological and brain science, in a way that ultimately makes you see your own life differently. Excerpts of the show will be featured on the NPR News programs Morning Edition and All Things Considered, and the program will also be available as a podcast. Thanks so much for the article. I run a small independent podcast in Australia. Recently, I interviewed someone who tended to talk in long rambling phrases with very little pause. I didn’t edit very much, opting to keep the character and ‘flavour’ of the individual’s voice. Rather, I edited by interspersing periodically with music. I’m still not happy with the episode and may pull it and re-edit (its also a big file and I had to over-compress, one of the drawbacks of being a small indie podcaster…). When you edit, what is your decision-making process for keeping the live, ‘flavour’ of an extended interview vs not causing ‘listening fatigue’ for the listener? How vigourous or brutal are you with editing? This is one of the most helpful things I’ve ever read about audio production. Maybe THE most helpful. Your insights and ideas are uber-smart and point me toward the deep stuff, but it’s equally valuable just to have the opportunity to see how your mind works when applied to these sorts of questions. You gave me some cool new things to think about and you modeled how you think about them. Now I can mimic you and apply this type of thinking to all sorts of dorky dork radio questions! Teach a dork a new trick, and she’ll use it for a year. Teach a dork to study and analyze and invent her own tricks, and she’ll dork it up for a lifetime. Your stories have always caught my ear, and stuck with me. To discover that you’re a great teacher in addition to being one of my favorite radio producers is a real treat. Thanks to Transom for sharing Alix’s brain with us, and thanks to Alix for giving us look at that nimble, creative, unpretentious and total unique brain in action. Dork-a-riffic Alix! Thank you for a real primer in demystifying the secrets to good storytelling behind two of my favorite radio shows. As a fellow teacher and budding producer, I appreciated lots of concrete examples and audio clips to prove clarify your points. I look forward to your new show in January-UNITE! Now THAT’S a manifesto! What an awesome primer for us neophyte dorks. Thank-you, Alix – this I can – and will – use every day. You rock! You-NITE!